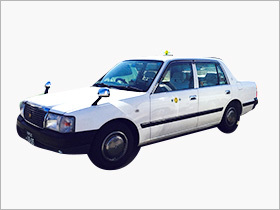 Sightseeing by taxi is ideal for the visitor who only has a limited amount of time in the city.You can order the following cabs according to tour number. 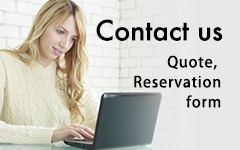 Our experienced drivers provide safety and comfort. These sedans are the standard in reasonable price transportation.The taxis can accommodate 4 PAX and a folded wheelchair can fit into the trunk. Up to 4 people, 3 regular luggage. (Standard suitcases size is 46x69x29cm - 18x27x11in). 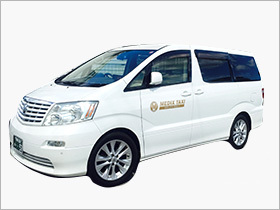 Popular with small groups and families, our mini van is spacious and comfortable. We recommend them for long trips. Up to 7 people, 3-4 regular luggage. 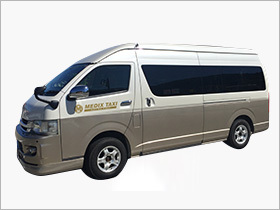 Our Jumbo taxi is ideal for larger groups. Up to 9 people, 4-5 regular luggage.